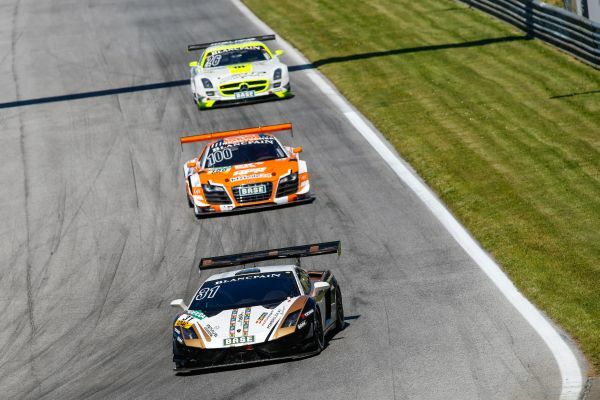 The summer holidays are over in the ADAC GT Masters, as the Super Sports Car League steps on the gas again at the Slovakia Ring in Bratislava to commence the second half of the season on the weekend of August 8th-10th. The Slovakia Ring is located about 100 km from Vienna and is where the ADAC GT Masters is heading for the second time after its successful premiere there last year. This is the longest circuit on the calendar at 5.922 km and is one of the most challenging tracks for drivers. Led by Kelvin van der Linde (18, South Africa) and René Rast (27, Germany / both Prosperia C Abt Racing) in the Audi R8, super sportscars from five different manufacturers that make up the Top Five in the standings will ensure an exciting start to this crucial phase of the season. The leaders in the standings, Rast and ex-Formula 1 driver Markus Winkelhock (34, Germany / Prosperia C Abt Racing) enjoyed a perfect summer. During the last six weeks, the two Audi drivers have taken their Audi R9 to victory in both the ADAC 24-hour race at the Nürburgring and at the 24-Hours of Spa-Francorchamps/Belgium, which are two of the most prestigious fixtures for GT endurance racing. Rast already has the next target in his sights after his dream summer. Rast and team-mate van der Linde, who recently won the FIA's Young Driver Excellence Award, now intend to lift the ADAC GT Masters title. Rast thinks he has a good chance of maintaining his position at the top of the rankings. Rast: "The track really suits our Audi R8, as we saw last year." Jaap van Lagen (37, Netherlands / GW IT Racing Team Schütz Motorsport) is hot on the heels of the championship leaders. The Porsche driver has a deficit of just ten points at the start of the second half of the season. Van Lagen and team-mate Christian Engelhart (27, Germany) know that it won't be easy at the Slovakia Ring. Van Lagen: "This track is quite a challenge for our Porsche. However, we did well in testing a few weeks ago. Qualifying will be tough, but generally speaking, the fact that Christian and I make a good team usually works to our benefit." "Everything is ours for the taking at the Slovakia Ring. The track is really demanding and there are few visual clues to help drivers get their bearings. This year, the Slovakia Ring is a little faster, because a temporary chicane has been removed and there are now additional asphalt strips at the edge of the track in some turns." With a double victory at the Red Bull Ring, defending champion Daniel Keilwitz (25, Germany / Callaway Competition) has slotted nicely into the top five in the standings, just as the title fight is about to hot up. The Corvette driver, who won last year at the Slovakia Ring on his way to the title, intends to mount a successful defence of his crown in the course of the remaining four race weekends along with Andreas Wirth (29, Germany). Two drivers are once again aiming to create a stir at the Slovakia Ring. Former champion Albert von Thurn und Taxis (31, Germany) and Tomas Enge (37, Czech Republic / both Reiter Engineering) secured their first ADAC GT Masters podium finish at the Red Bull Ring in the mighty Chevrolet Camaro. At the Slovakia Ring, the two Camaro drivers will be keen to prove the sterling qualities of their American muscle car that pumps out more than 600bhp. 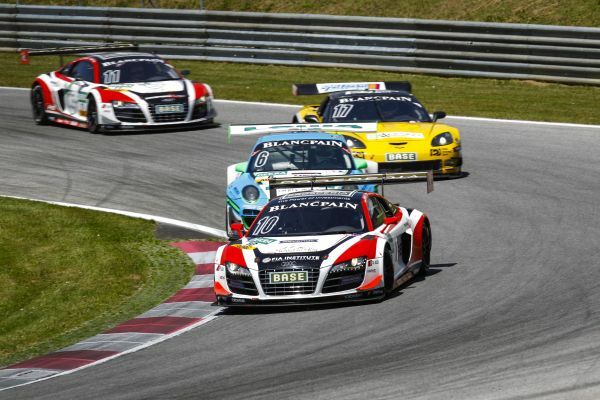 There are some new faces in the ADAC GT Masters to kick off the second half of the season. Porsche protegé Alex Riberas (20, Spain) will line up for the first time in the Porsche 911 alongside Nathan Morcom (22, Australia / both Farnbacher Racing) and is the second Spaniard in the field after Formula 1 driver Jaime Alguersuari (24, Spain / ROWE Racing), who drives a Mercedes-Benz SLS AMG. Joining Markus Winkelhock in the Audi R8 prepared by Prosperia C Abt Racing, Vienna-based Niki Mayr-Melnhof (35, Austria) is also in the line-up for the first time and has a very short trip to the Slovakia Ring. After a successful guest drive last time out at the Red Bull Ring, Grasser Racing will again field a Lamborghini Gallardo with Gerhard Tweraser (25, Austria) and Tomas Pivoda (22, Czech Republic), as they tackle an ADAC GT Masters Weekend for the second time this season. Toni Seiler (56, Switzerland / Callaway Competition) is aiming to fight for another class win in the Gentlemen category with a new team-mate. ADAC GT Masters race winner Andreas Simonsen (24, Sweden) will partner Seiler and race a Corvette for the first time. The Corvette drivers intend to beat the leader in the Gentlemen standings, Herbert Handlos (31, Austria / TONINO Team Herberth). 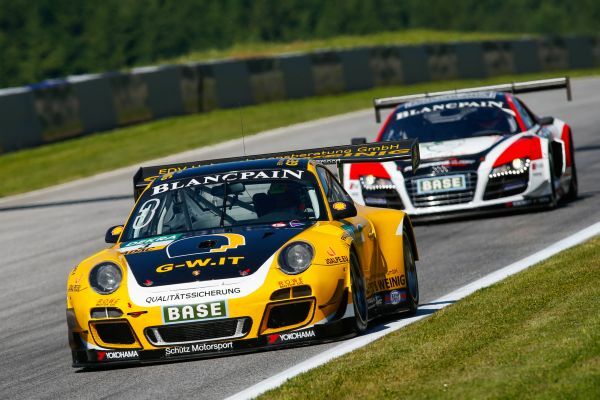 The Austrian dominated the Gentlemen rankings in the Porsche 911 during the first half of the season and with a lead of 62.5 points is well up on fellow Porsche drivers Antonios Wossos (48, Greece) and Nathan Wolf (45, Netherlands / both GW IT Racing Team Schütz Motorsport) in the standings after securing six wins in eight races. Fans who prefer to experience the ADAC GT Masters live at the track can obtain tickets in advance starting at 20 euros (includes access to the paddock). Tickets are available online at www.adac.de/motorsport from all ADAC branch offices, online at www.eventim.de or from one of the more than 20,000 Eventim outlets in Europe. 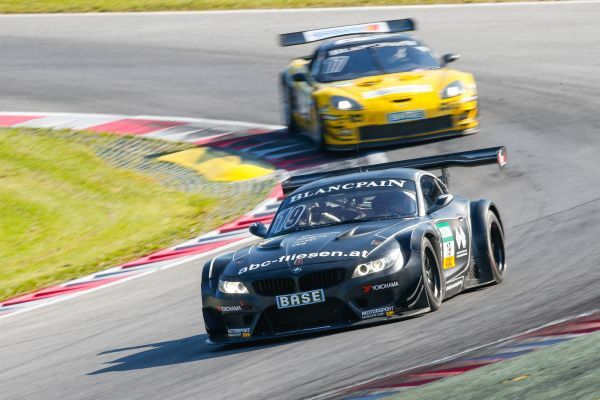 All 16 races of the ADAC GT Masters will again be broadcast live and in full throughout Germany, Austria and Switzerland on kabel eins during 2014.